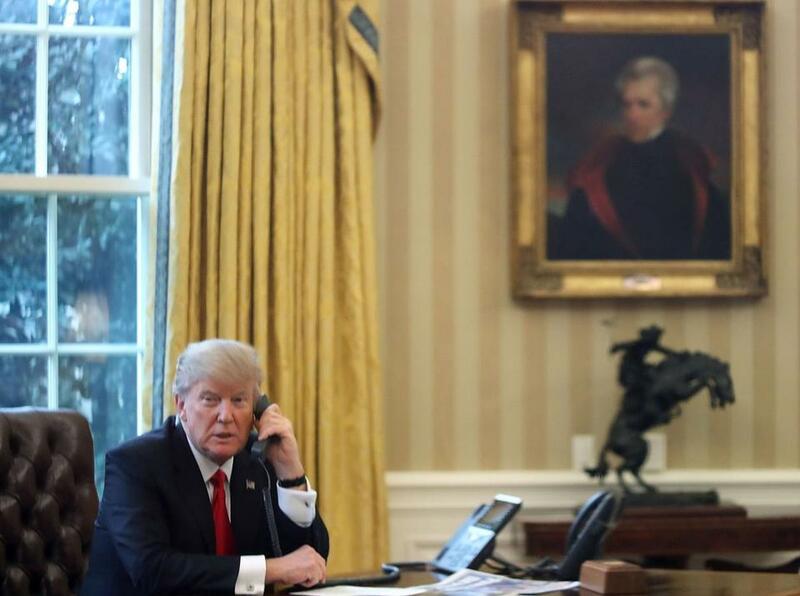 President Trump in the Oval Office on Sunday. A temporary restraining order is a form of immediate relief, known as injunctive relief, that a judge can grant to one party in a civil dispute. A judge can issue an order in a civil proceeding that prohibits one party from carrying out an act, or requires a party to continue carrying out a legal act, meaning the party must maintain the status quo. A temporary restraining order is an immediate remedy that typically lasts about 7 to 10 days, until a judge can hold a hearing to consider all of the evidence in the case. Then, a judge can issue a preliminary injunction and then a permanent injunction until the full civil proceeding can be carried out. In Boston, Magistrate Judge Judith Dein and US District Judge Allison D. Burroughs — who were the emergency judges on call over the weekend — issued a restraining order that lasts seven days, though the judges said they will hold a hearing before that order expires. What are the standards for an immediate restraining order? Before issuing an order, a judge must consider several legal factors, specifically that the requesting party has a high likelihood of success; that the people at issue will suffer irreparable harm; that there is a public interest in granting the order; and that all factors the judge weighs eventually balance in favor of issuing an order. Howard Cooper, a prominent Boston-based attorney, compared the legal arguments to a decision to stop a wrecking ball before it demolishes a building, if the demolition of a building is a controversial issue. A judge can consider an order postponing the wrecking ball until the legal issue can be resolved. Burroughs and Dein found in favor of the American Civil Liberties Union and lawyers for immigrants that they had a likelihood of success in challenging Trump’s executive order, that their clients would suffer irreparable harm if the immediate restraining order was not issued; that there is a public interest in the order; and that all factors weigh in favor of the plaintiffs. The judges ordered government officials to maintain immigration processes in place before Trump’s executive order. It also prevented government officials from detaining or deporting refugees whose applications have been approved, or holders of valid immigrant and non-immigrant visas, lawful permanent residents, and other individuals from certain countries who otherwise would be legally authorized to enter the United States. Under the order, Customs and Border Protection agents must notify airlines that have flights arriving at Logan Airport of the order and the fact that individuals on those flights will not be detained or returned to their countries based solely on the basis of the executive order. What kind of reach does the Boston order have? Immigration advocates and civil rights groups believe the restraining order issued in Boston has a national reach because it names President Trump as a defendant, and a federal judge’s rulings can be applied throughout the federal court system. The ruling mentions flights specifically landing at Logan Airport, and legal analysts said that it is unclear whether an immigration agent at an airport in San Francisco would be legally bound by Burroughs’ ruling. But legal analysts said that civil liberties groups can now cite the legal justifications mentioned in the Boston ruling in seeking similar rulings in other courts across the country. “I think what the ACLU and the national immigrants’ rights organizations are saying is that they asked for broad relief against the government and the decisions should have national implications,” Cooper said. How many rulings can there be? How is the order enforced? What might the response from the Trump administration look like? Trump officials have argued that the law does not specifically ban Muslims from the country, and so it is not discriminatory. But legal analysts argue that the nations listed are predominantly Muslim, and so it is easy to interpret the intention of the executive order to be such a ban. Also, Trump said publicly that exemptions would be made for Christians from those countries. Cooper said there can be multiple legal arguments to be made, including the argument that people who are being subjected to the order had their status changed without due process. But he also argued that it will be easy to make the argument that the executive order discriminates based on religion and nation of origin.